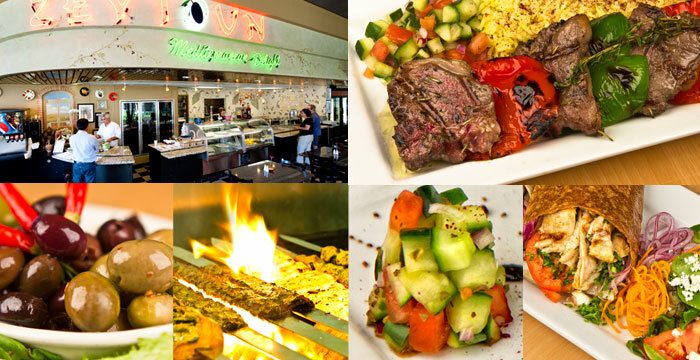 At Zeytoun we strive to provide an excellent dining experience. Our cuisine contains nothing but the finest ingredients. While many of our dishes are Middle Eastern/Mediterranean in origin, our cooking is contemporary and incorporates flavors from all over the world with an influence of California and fresh local farm produce. Our lamb, beef, chicken and vegetarian specialties are guaranteed to satisfy even the fussiest gourmet. With our relaxed casual atmosphere, choice collection of Entrees, salads and exciting custom-made desserts, Zeytoun truly is a feast for both the eye and the palate. We hope your visit to our restaurant is a pleasurable one. If you have any questions about our dishes or if you are interested in having Zeytoun cater an event, please contact our management. Our Sister company Fresco Food Services Inc. is delighted to provide you with top notch full catering services for corporate events and/or any occasions.